Telkom CEO Sipho Maseko has reportedly said that at the right price, the company would consider an offer to buy mobile network operator Cell C.
This is according to Reuters, which quotes Maseko as saying that Cell C is an “interesting proposition”. “I’d like to do something with them. At the right price, I’m a buyer,” he is quoted as having said. He also said Telkom has a strong balance sheet, giving it the “flexibility to pursue … options”. His remarks come after Oger Telecom, Cell C’s controlling shareholder, contracted Goldman Sachs, reportedly to consider bids for its stake in South Africa’s third largest mobile operator after Vodacom and MTN. Cell C, which recently secured new debt financing, is fighting to become a bigger player in the local telecommunications market, cutting prices and aggressively attempting to poach both prepaid and contract users from its bigger rivals. Telkom’s mobile arm, a late fourth entrant in the mobile market, has struggled to gain traction and has incurred losses running into billions of rand. But last month, Telkom said net revenue from mobile in the quarter ended 30 June 2015 soared by 68,5% to R350m, driven mainly for demand from data. 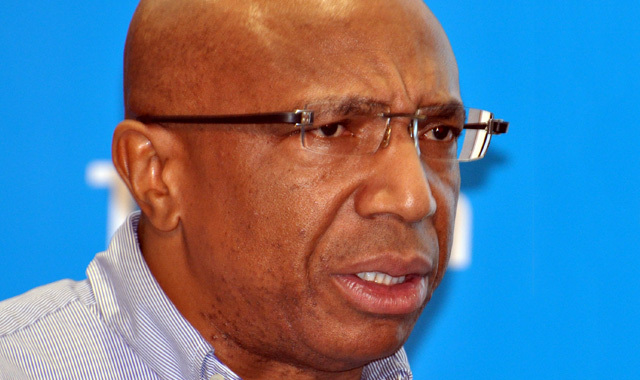 Telkom Mobile incurred a loss of just R30m in the quarter. “This is an 87,9% improvement compared to the prior comparative period,” Telkom said. Active mobile customers increased by 11,7% to more than 2,1m, with a blended average revenue per user of R82,87, up by 17,8% on a year ago. Post-paid customers grew by 61,9% while prepaid customers decreased by 1,3%. The reduction in prepaid customers was due to a clean-up of the revenue-generating subscriber base, Telkom explained. Telkom is hoping soon to conclude a deal with MTN in terms of which the two companies’ users will roam on each other’s networks. All of a sudden Telkom has become a hungry ogre with a healthy balance sheet. A month ago Sipho was telling Telkom staff that the company had to shed 4400 staff and outsource another 3400 staff to enable the company to survive, the alternative was a 20% reduction in staff wages. I feel Telkom is being used as a front company to create a communication and ICT conglomerate. All of a sudden a struggling company has got a lot of money to throw around, the question is: who is/are the sponsor (s)? You, the taxpayer. Telkom is still owned directly for 39.8 % by the state, and another 11.6 indirectly through the PIC, the Public Investment Corporation. Which is also run by Gov, and mostly deals with Gov employees pensions. KT, Korea Telecoms was interested to buy its maximum allowed share of 20% in Telkom some 3 or 4 years ago, but this was refused at the very last moment by Telkom’s biggest shareholder, because it was a “strategic asset”. The privatisation of the telecoms sector has only been done half-half, that’s why we as a customer have been ripped off so much over the last 20 years. ICASA, the telecoms and broadcasting regulator has been for the most of its existence since 2000 a spineless lapdog of Gov, and in a minor way of the three biggest telcos. The SNO, second network operator, for fixed lines, Neotel has been only been very partially a success, after it came very late to the market in 2005. Telkom owned until about 10 years ago also something like 40% of Vodacom shares. It lost all this money in a failed investment in Nigeria. Gov sold very recently in a bit of a semi secret deal its 13.9% shares in Vodacom to the PIC. with 10% discount, for a not disclosed price.